Are you suffering from a chronic lack of free time? Are you longing to read a good book at the George Memorial Library, or visit the John M. and Lottie D. Moor House, but you just have too many chores to do? It's time to reach out to That’s Clean Maids. Let us deal with the mess and connect you with seasoned professionals while you take the time to enjoy the better things in life. Richmond is our home and we’re proud of it! However, there’s always room for improvement. We want to make the community better by keeping its homes sparkling clean. Clean homes are happy homes, and happy homes mean a happy community that is a joy to live in. This philosophy is at the heart of our business. 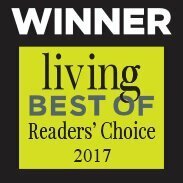 Book house cleaning services Houston with us today. Before you know it, your home will be better than ever! Keeping your home immaculately clean is easier said than done! Fortunately, this is the 21st century and there is no reason why you shouldn't make your life easier. With a customized professional cleaning package, available at flat rate pricing or hourly rates and no need to sign a contract, you will be rendered speechless. We want to wow YOU, which is why we will go out of our way to match you with the very best in the cleaning business. The professionals referred to clients by That’s Clean Maids make it their mission to go beyond the call of duty and deal with any problem they encounter. Do you have special cleaning needs? Do you prefer they use only eco-friendly products? No problem! Does your furniture require the use of specialized cleaning products? They will bring them! Whatever your preferences, they will meet them! Let us show you why we pride ourselves on our 100% satisfaction guarantee! The cleaners we work with are available from 8 am to 7 pm, Monday to Saturday. We can easily match you with a team of expert cleaners via our simple online form. They will arrive at your doorstep, equipped with top-of-the-line cleaning products and tools. 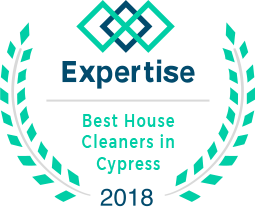 Each and every cleaner has been thoroughly vetted and evaluated to ensure we only team up with the most trustworthy professionals who care deeply about their craft. The cleaning teams also perform house cleaning services Magnolia, house cleaning services Hockley, house cleaning services Kingwood, house cleaning services Humble and house cleaning services Atascocita, areas. All cleaners we work with are insured and very serious about providing the finest maid cleaning in Richmond TX. What's more, to make sure both we and the cleaners maintain the same quality we promise to our clients, we use an online feedback system. Not only that, but in the unlikely case that you’re not 100% satisfied with the work, the cleaning team will come back within 48 hours to re-clean the area, absolutely free of charge. 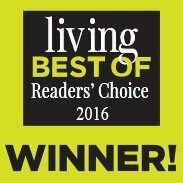 Send us an e-mail or call us to find out why we’re the best! Getting cleaning help has never been as easy as it is with That’s Clean Maids! 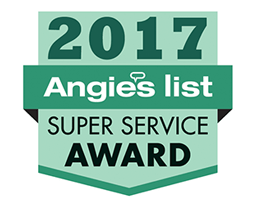 All cleaners we work with are trustworthy veterans of the cleaning profession who have been thoroughly vetted and checked. Want to spend your life cleaning? Of course not! Let the professionals do it while you focus on things that matter most. Easy, painless payments are our pride and joy. You pay only after the job is finished! We want you to be as happy as possible with every aspect of the service. Use our online survey system to tell us what you think about the cleaners we sent you! All customer get automated reminders about the cleaning service. For any other questions or concerns, get in touch with us via email or phone!